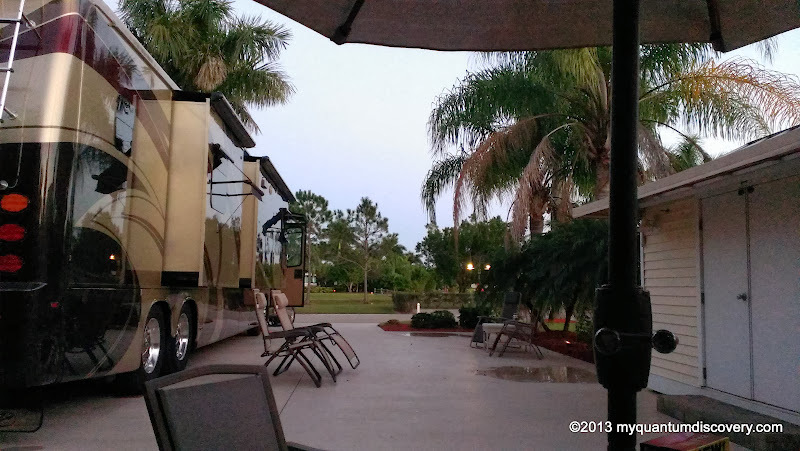 As you may have deduced from our other posts we really like it here at Riverbend RV Resort in Labelle, FL which is a beautiful example of an ownership type Class A only destination. While we have generally soured on staying at ownership type Class A resorts and found that we much prefer the State Park type environment, Riverbend is a notable exception. Not only is the resort one of the best on almost all levels we have been to in our travels so far, but the people here are more prone to practice a camaraderie more in keeping with that of typical State Park type clientele – that is they tend to be less “stuffy” and we did not observe the cliquishness or the “owners vs. renter” mentality we’ve experienced at other Class A resorts. Coaches here ranged from smaller gas rigs all the way up to Prevost and Newell models with the majority being mid-range diesel pushers. 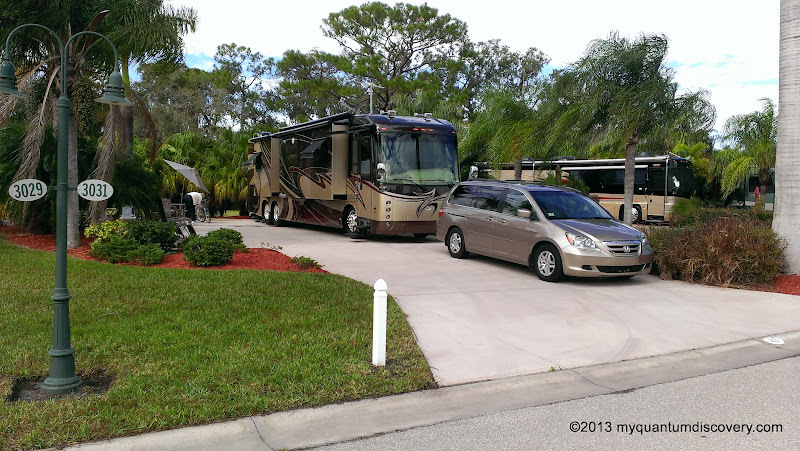 Riverbend has 315 sites with gated access and is located along Route 80 – 17 miles East of Fort Myers. With over 1,000 feet of frontage on the Caloosahatchee River four grades of sites are offered: woodside, lakeside, creekside and riverside. 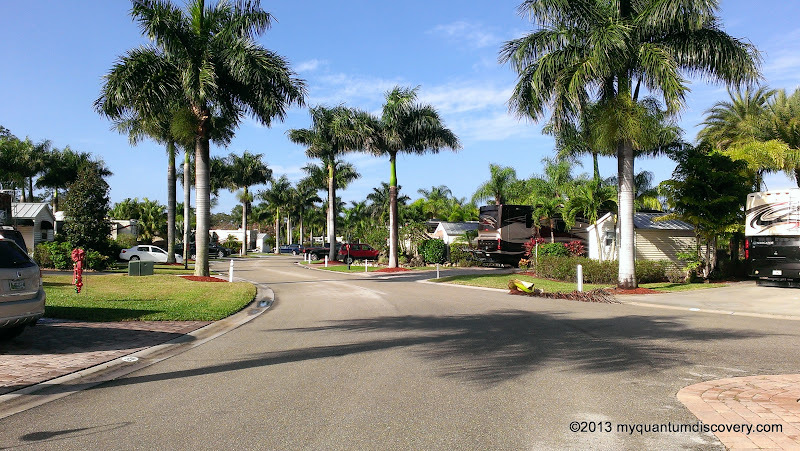 Each 50’x100’ RV lot has its own 10’ x 14’ or 10′ x 16′ coach house on a finished 45’ x 30’ concrete base with a 20’ wide driveway. Sites can be rented either through the office or privately through an owner (perhaps at a better rate) who often advertise in the FMCA magazine or on-line. Summer Season/Off Season and Peak Season rates can be found on their website. Lots of amenities and activities here which are described below. For 2015/2016, the peak season rates have gone up substantially and the season has been expanded to include Dec-Mar (formerly Jan-Mar). Also, Nov and Oct (formerly considered Summer Season) have been changed to Off Season status with a rate structure less than Peak, but higher than Summer. The “7 month” long term rates (no taxes) have also increased very significantly. 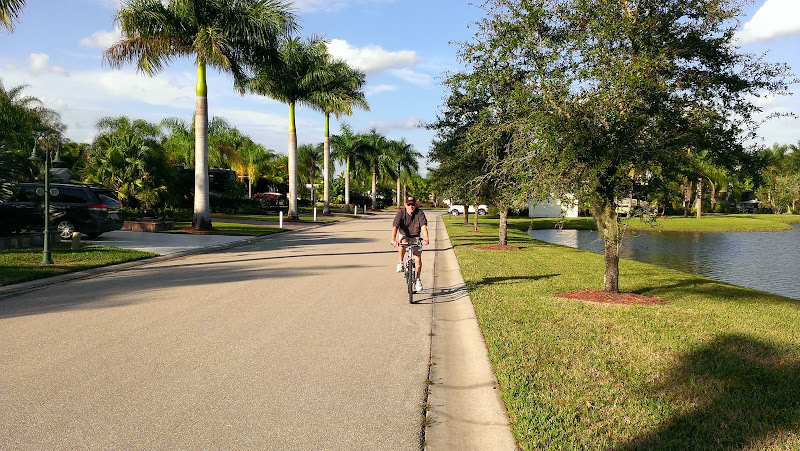 The sites are really huge by Florida standards, at a minimum of 50′ wide by 100′ long (my first house had a lot smaller than that) and many have amenities like a lake view and/or mature plantings that provide oodles of privacy. Many sites also have additional adjacent open space and most are equipped with a finished coach house (bathroom/laundry/kitchen/bedroom). 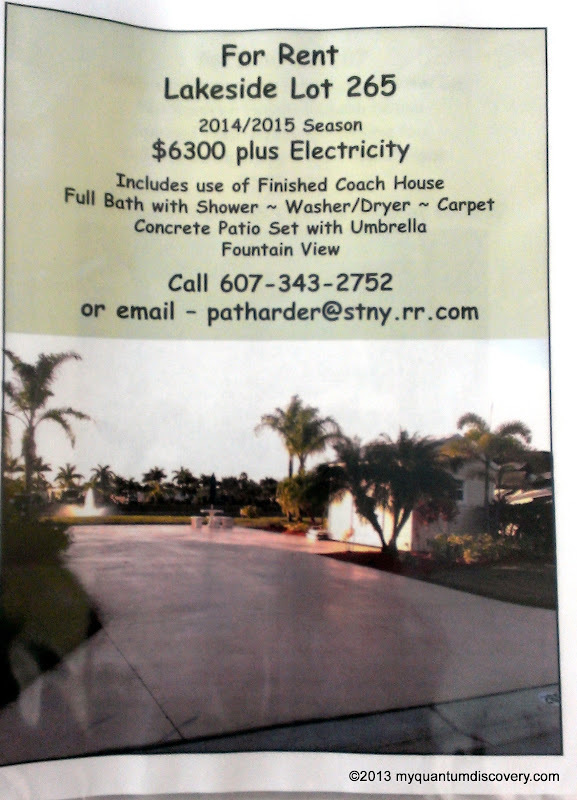 A large, level, full concrete or paver pad is standard and as a renter you may request a site with patio furniture, use of the coach house, golf cart, etc. With lots of room between each site and all of the vegetation, on the majority of the sites, there is plenty of privacy between you and your neighbor. Of course this is dependent on the improvements that the site owners have made. Besides the four “lakes” on the interior of the resort, Riverbend also has relatively rare direct access to a navigable waterway – in this case the trans-Florida Okeechobee Waterway that connects the Atlantic Ocean (Stuart) to the Gulf of Mexico (Fort Meyers) via Lake Okeechobee and the Caloosahatchee River and lock system. 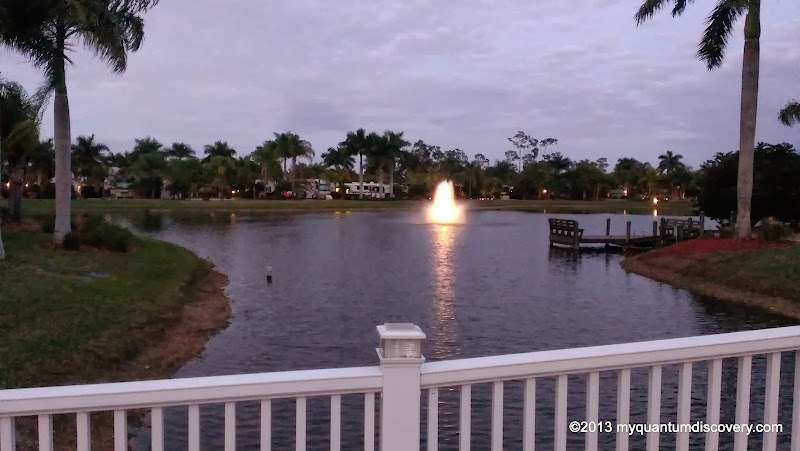 Boat docks on site are available for owner/renters as well as cruising transients. A large boat and trailer storage area is available as is a paved boat ramp. As lifetime boaters, this to us is a significant asset. Activities here are more focused on the “active” than at other resorts we have visited. Pickle ball, biking, swimming, boating, other watersports, walking, etc. are the norm for most residents. You can ride your bike around the premises and rack up quite a few miles without getting bored. Never saw bingo ever mentioned (which is totally fine with me) but they do have movie night and a full calendar of other social activities too. There are several top notch facilities on site including the beautiful River Clubhouse which hosts most of the dinner events, breakfast on Saturdays and functions as a restaurant (volunteer staffed) during peak season (Jan-Mar). A Pool Clubhouse, Nature/Activities Center and Welcome Center round out the other primary buildings. The entrance is fully gated and there are two gated exits. A “clicker” is available for entry in addition to the code box. 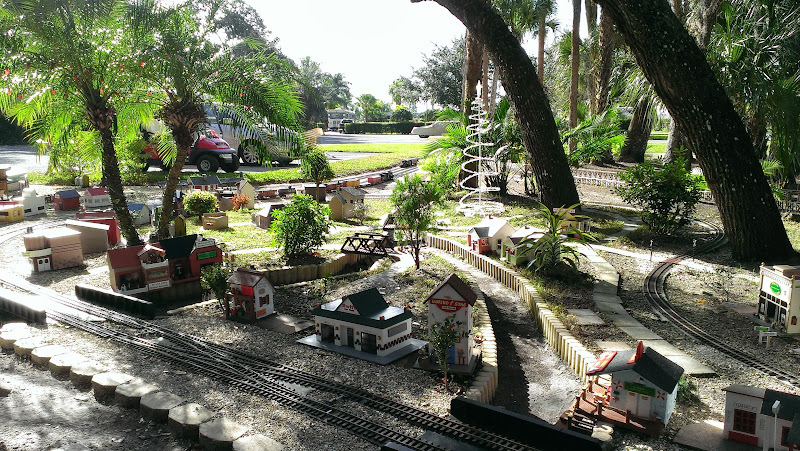 Additionally, there are enthusiast facilities like the Riverbend Model Railroad, and Riverbend Speedway (remote control model cars). Riverbend also has its own Reverse Osmosis water processing plant, sewage treatment plant and a geothermal system to heat the pool. Trash pickup at the site is provided most days (by volunteers) and there is easy access to the onsite dumpster/recycling facility. 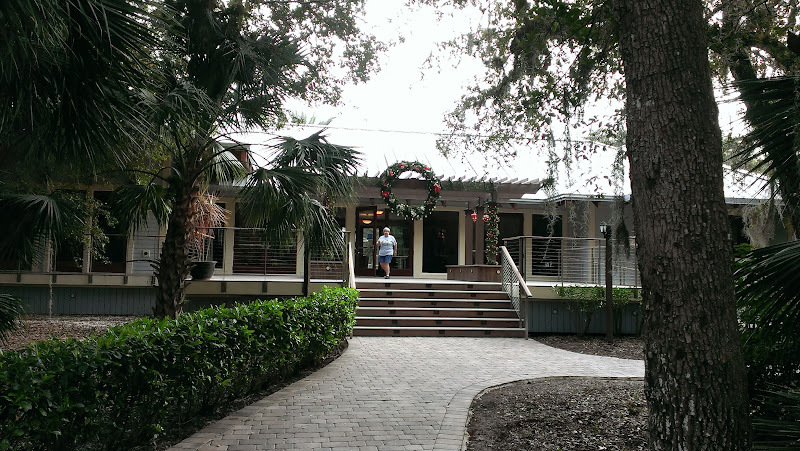 Riverbend is about 10 minutes from Labelle to the east which has a Winn-Dixie and a good number of restaurants. A Publix is located about 20 minutes west on SR-80. 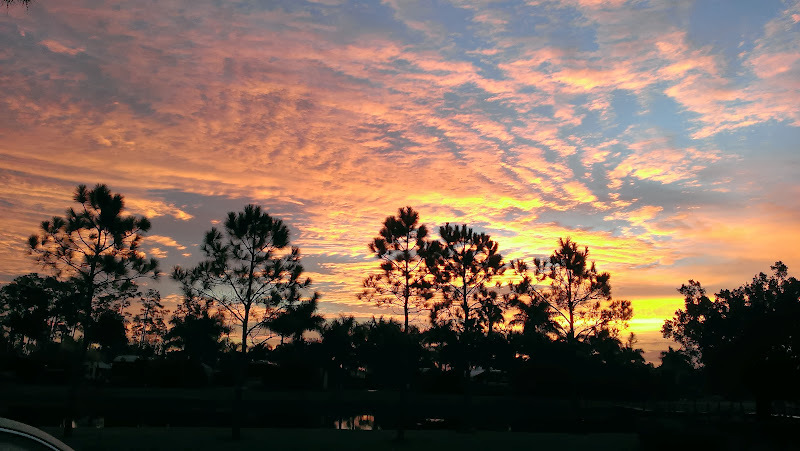 A Home Depot, Walmart and other retail establishments are located in Lehigh Acres about 20 minutes away and anything else can be found in the Fort Meyers area about a half hour away. 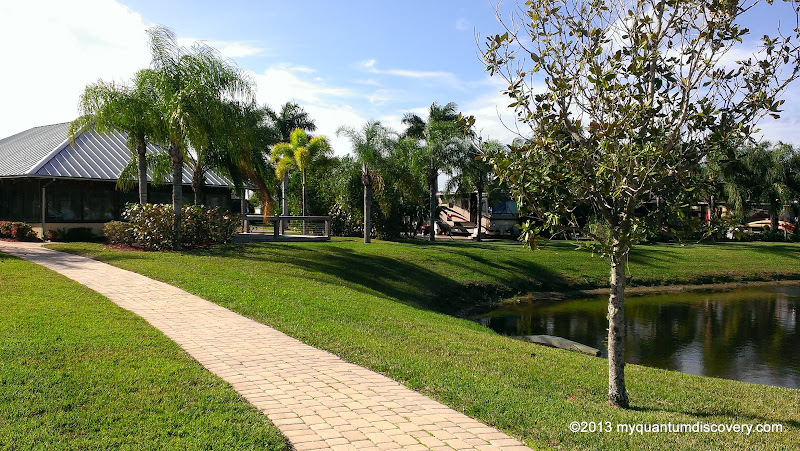 For pet owners, a vet is located directly adjacent to the resort. The adjacent areas are sparsely populated and farming oriented and there are many things to do. Traffic tie ups are virtually non-existent, a refreshing departure from most Florida coastal locations. Update 2017: A new Walmart has opened about 5 minutes from the resort along SR-80. 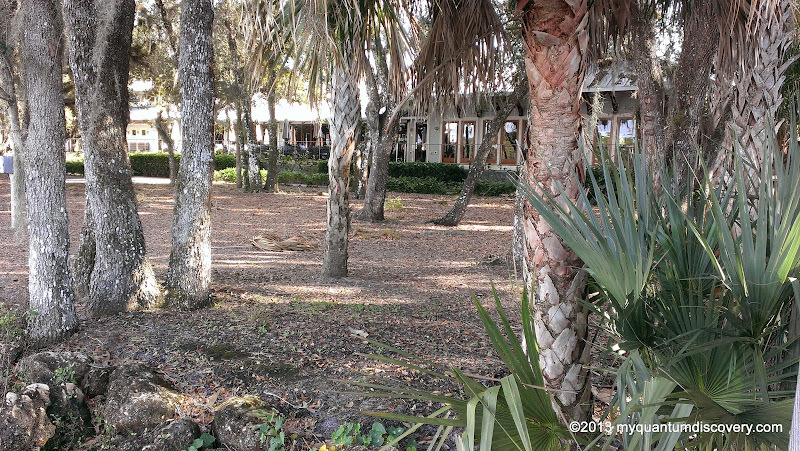 Although it is not located in a natural “state park” environment, because of all the vegetation planted throughout the resort and on the sites, it does feel like you are in a subtropical setting. The direct frontage on the Caloosahatchee is a big plus in our book. Roads are paved and very wide so generally easy to maneuver. 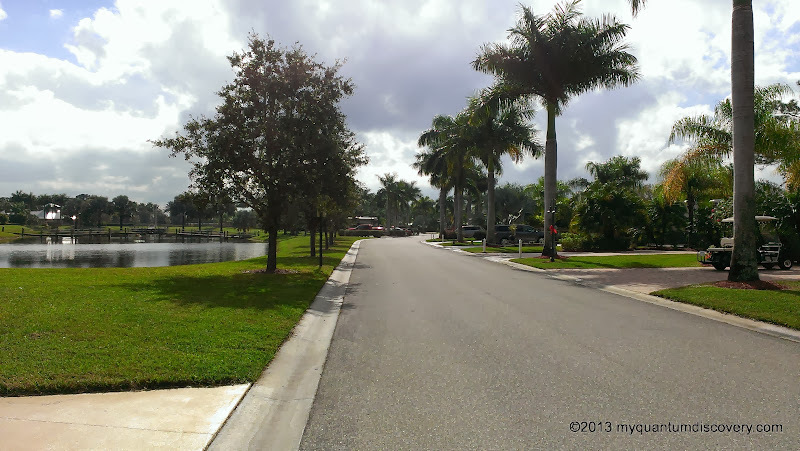 A large staging area is provided for hitching/unhitching and all the roadways are as wide or wider than a typical residential street so there are no issues backing in or out and no one-way restrictions. This is an exceptionally well laid out and spacious resort. Peaceful resort, although sites near the Pickle Ball courts might experience some noise during play. State Road 80 is adjacent so there is some traffic noise depending on the time of day and which way the wind is blowing. Sewer – well placed, screw in 4″ cap. Satellite – we had no problems with our rooftop DISH Network reception, although due to the mature plantings it is possible there might be a site that would have Satellite reception issues. Note that stand alone satellite dish tripods are not permitted. Over the Air TV (OTA) – our OTA antenna picked up all the major TV networks with no problems, and there is cable too which includes a special “Riverbend” channel. Cellular signal – we had no trouble with our Verizon 4G LTE service here. Power – no problems with power during any of our stays here. Water Pressure/Quality – Water pressure is excellent here as is its quality – none of that typical southern “swampy” odor, but instead there was a hint of chlorination. And yes you can wash your vehicles anytime except Sundays as long as you use a pressure washer. There is considerable resale activity at Riverbend with many sites for sale in the $70K-$350K price range. Depending on who you talk to, the number of sites for sale ranges from 10% to 80%. A check on the MLS (4/2015) revealed 50 sites listed for sale. Many other sites are for sale privately. Owners are permitted to market their own sites for sale or rent but still must pay the resort a small fee for rentals. 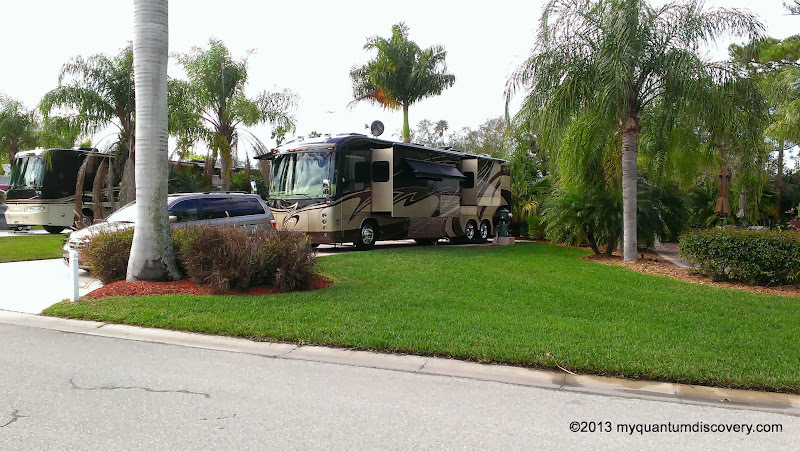 My sense is the HOA and community is strong here – what may seem like a high turnover rate is to be expected given the unique circumstances of the RV lifestyle, particularly Class A coach owners. There are many site owners that own multiple sites and love to find long term “seasonal” renters to defray their expenses. Basically, the owners will be quite happy to rent for their cost and break even, particularly if you are respectful of their site and willing to do some minor maintenance. The break even rental cost is typically advertised between $7-$9K per “season”. The meaning of “season” varies from 6 months to the entire year at the discretion of the owner. Asking around, we found that some owners include electricity and some don’t. Use of the coach house, golf carts and other amenities are also negotiable depending on the owner and what they have to offer. A 6 month or longer rental term eliminates the need to collect hospitality taxes so that is a significant savings for the renter and there are probably similar tax related benefits for the owner. Note that in 2015/2016 the HOA has increased rental rates across the board, so private rates may follow suit. 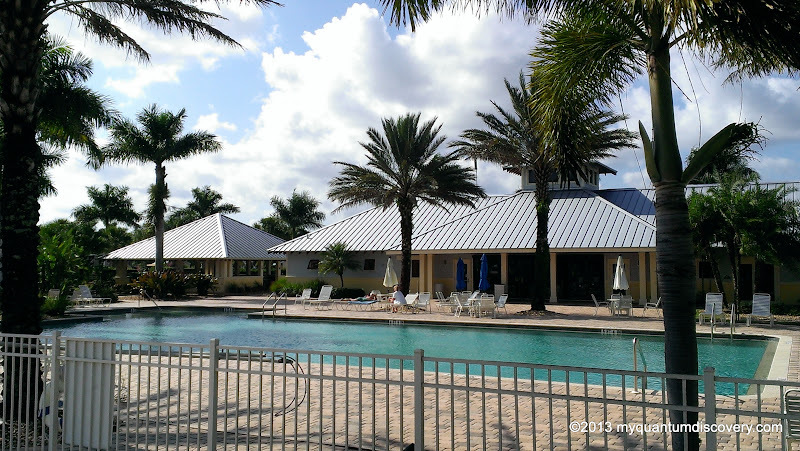 At first $7K seemed like a lot to me, but having seen other southern FL “resorts” with seasonal rates in the same range that are just not anywhere near the level of quality or have the privacy and comfort Riverbend offers, has made me rethink that. $7k/year amounts to about $600/month or $1200/month for the peak season. That’s very reasonable for the area and about average for much lesser southern Florida “resorts”.